Here is my entry to the MoJo Monday Challenge #123. I did my first ever circle card during the Christmas 2009 season. I fell in love with the whole concept. So, when I had an opportunity to create a circle card for a challenge I HAD to do it! 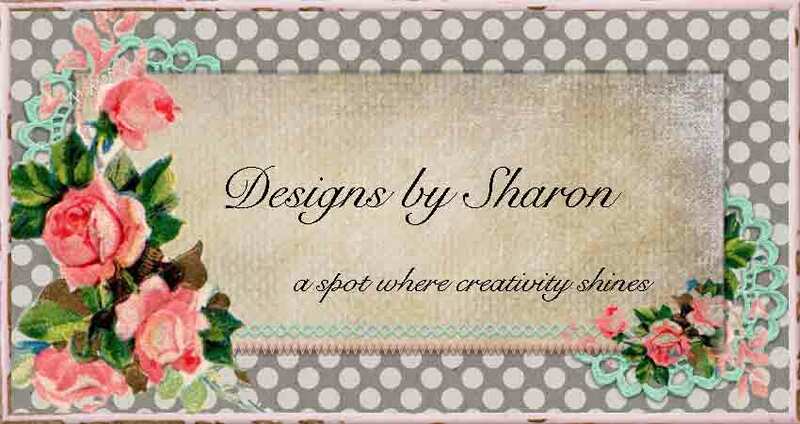 For those who know me, know that I can create a card/project with one product or one product line. I can also create a card/project with (feels like) 50 different companies! This is one of those cards! 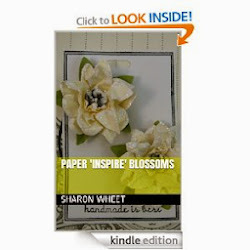 Ok, here are the companies I used: Paper Trey Ink, Basic Grey, Stampin' Up!, Fiskers, Bazzil, Paper Studio, and Yours Truly. And, here we go! For the black scallop circle, I used the die, Big Shot, and Basic Black card stock from Stampin' Up!. For the solid card stock, I saw this beautiful texture Bazzil paper from one of those large crafting stores, and fell in love with it. I used that as my matt for the inner circle and for the rectangle scrap on the card front. The two different and contrasting pattern papers are from Paper Studio. I thought that they really complimented each other nicely. :) The ribbon I used is from Yours Truly, I believe the color is moss, but don't quote me. I threaded the ribbon through the button to tie the bow. I'm pleasantly pleased with the final product. The green and cream buttons are from the Vintage collection from Paper Trey Ink. The black button is from Basic Grey. The bird and swing stamps are from Basic Grey, also. I stamped the swing with Stampin' Up! Basic Black classic ink. I stamped the bird with a hybrid ink from Paper Trey Ink, Avocado. The sentiment is from a clear stamp set I purchased a few years ago from fiskars - yes, the paper cutting people. I know, it seems like I used everything in my craft room. And guess what, I didn't. I have organized my craft room pretty well, so I'll take some photos this week. Now remember, its not 'clean' but it is used! Thank you for looking, and sitting through the long list of suppliers. Please leave a comment if you can. I like your card so much, those colors are my favorite. This is beautiful...you know me: I love black and white with a pop of color. I haven't gotten to try a circle card yet, but you have definately put it on my list with this card. I love this card. I was a music ed major in college and am always looking for ways to include music papers and embellishments into my scrapbooking and cardmaking. Thanks for the inspiration! This is the first time I have been to your blog. I don't know why I have not come sooner! I LOVE this! you are very talented, thank you for sharing that with us. Keep up the fantastic work! You have some great projects!! I am following you, it would be great if you would follow me!! And, Congradulations and Happy Birthday!! awesome looking card. very nice.